Back in early 2014, Pulsar was invited to bid for a multi-functional LED warehouse lighting project in Hidd – a largely industrial area on the north east coast of sunny Bahrain. 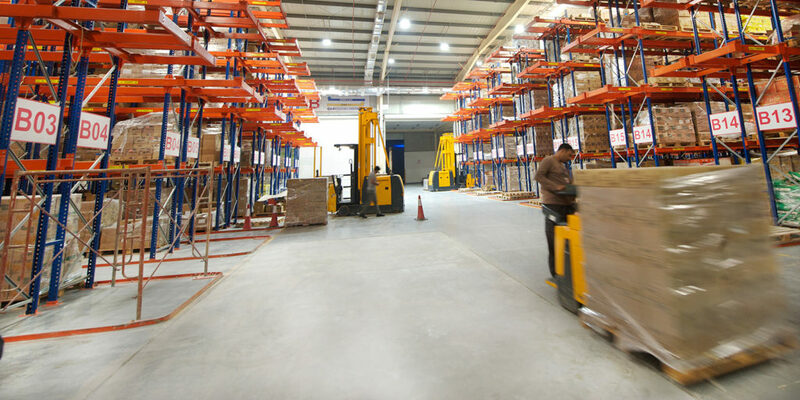 The client – Al Aujan Group – were building a collection of warehouse units, and the civil, mechanical and electrical works were awarded to the innovative Delta Construction Co. At the time commercial LED lighting was not widely used in Bahrain, and people were unsure of its ability to withstand the high heat and humidity of the Kingdom’s summer. To provide a long-lasting, non-intrusive LED low bay lighting solution, which would minimise the need for regular maintenance. Lighting a warehouse in this hot, ocean-facing location meant combatting high winds and extremely dusty/sandy/salt air conditions, as well as external temperatures regularly exceeding 45 degrees. Order, shipping and installation also had to be completed in less than 2 months – before the restricted outdoor summer working hours during the months of July and August came into play. Initial low bay lighting designs by a local consultant were based on using a 400W metal halide solution, however both contractors and consultants worried about its reliability. There were fears that ongoing maintenance would be needed, which contrasted directly with the brief. We needed to find a durable solution which could withstand these harsh conditions without strain. Pulsar’s 130W Unibay was selected after a very detailed technical evaluation involving testing of the LED lighting fixtures on site, in the warehouses. This popular industrial LED lighting solution was chosen based on its excellent light output, uniformity and distribution, coupled with an industry-leading ten year Guarantee that protects Al Aujan Warehouses in the unlikely event of any problems. Our Unibay LED lighting fixture is often used as a replacement for metal halide fittings because of its high efficacy and minimal maintenance requirements. A CCT of 5000K was chosen along with CRI of 80 to give a clean, crisp and natural white light to the area. To ensure the project was completed on time we carefully planned out our installation timeframes, and there was a coordinated effort between all parties to stick to them. More than two years on, Pulsar’s custom LED lighting solution has a record of 100% uptime. 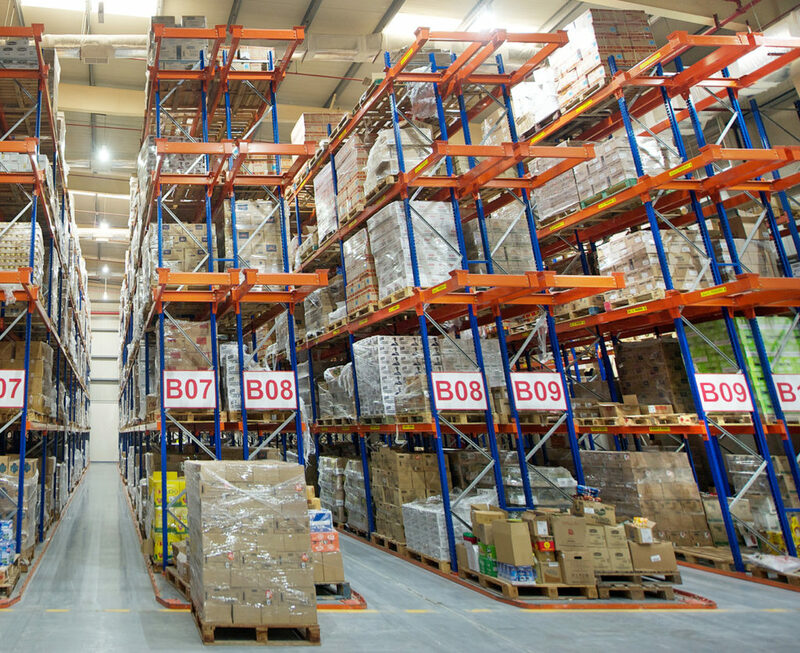 All the warehouses continue to operate to maximum potential, and the client is extremely happy with the final outcome. 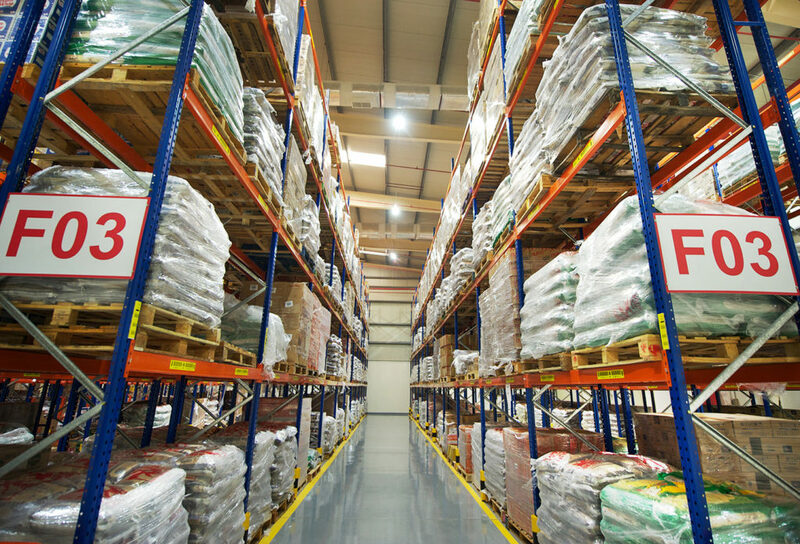 Our solutions are famed for their reliability, which is of particular importance when you manage warehouses which depend on efficient and reliable light, such as our cold store lighting solution at Bowman Chilled Stores, Cambridge. The CEO of Delta Construction Mr Neelakanta said: “I wanted to break the mould and show that a well-manufactured product, with the rich history of British engineering and innovation, would prove that LED technology has a place in the harshest of environments, and can be used successfully in a place like this.” And what a success it was. 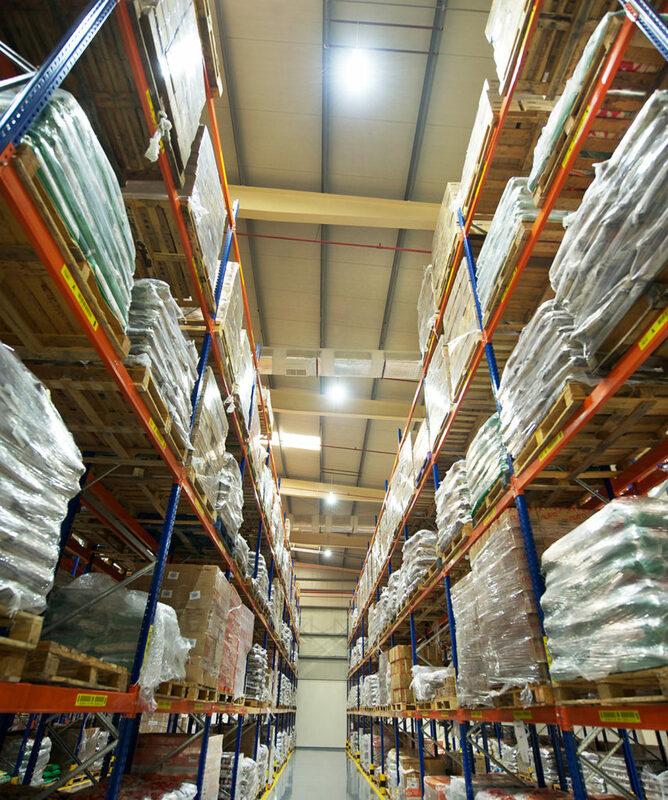 We know that Al Aujan Warehouses’ LED lighting will go on defying expectations for many years to come. Looking for further lighting inspiration? Discover more great LED lighting project transformations.